I’m a rockist, but I have some jazz leanings. And when I heard today that Cecil Taylor died, I thought about all of his music that moves through me. One thing I can say is that the two times I saw Cecil Taylor live I felt my life change. Both times. I would play the records and get caught up in the thoughts of what he and his combos were doing, but seeing Cecil Taylor and his band live was living a musical experience that pushed you to places you could not possibly have known about. Some of this was referential, Taylor freely sampled, he loved other music, but a lot of it was structural. He loved breaking down the usual form. His was music that demanded great playing, and even greater creativity in the improvisation. 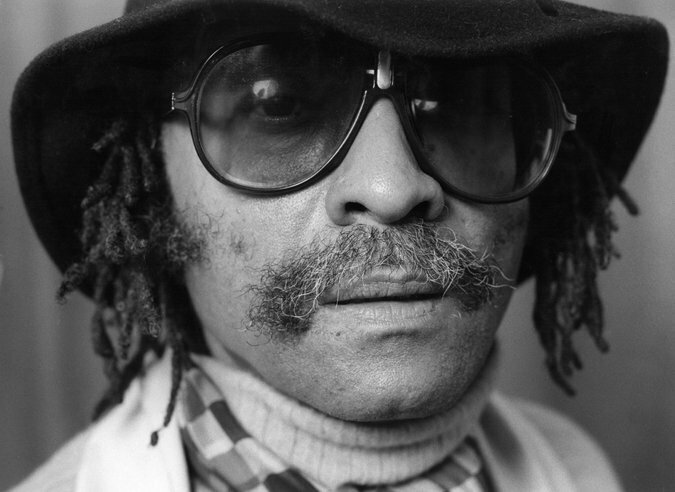 Watching/hearing Cecil Taylor and his combo create was like becoming privvy to great minds operating at maximum capacity, and letting you see how the magic is made. I can’t think of another musician who operated on both the sensual ground level and engaged the absolutely intellectual spheres so directly. And maybe I should mention that these shows I saw pulsed, were full of musical exuberance and passion. I happened to be out walking today and stumbled into a great used bookstore in Prospect Heights I rarely get to. The music playing was frenetic and sort of atonal but clearly not, and my guess was that it was Cecil Taylor. I didn’t know he had died, at that point, but I also admired the bookstore for its amazing hipness (in the good sense) and love of great writing. This clip gets at how percussive, melodic, energetic and disciplined Cecil Taylor’s music was. As with any musician, there are many more shades. But the point is, even if you don’t know about him, he was a giant. I hadn’t seen Trump read this poem until today, after reading about the Oscar Brown Jr’s song, where it came from and where it has ended up. Appalling. Read the story here, and listen to clips of Brown, Al Wilson, and Donald Trump. Each version is very different from the others. Saw I, Tonya tonight. It’s well worth seeing, a grand entertainment, as they say, in a theater. On TV it will look like something that elected Trump. The closing credits are this Iggy Pop song by Siouxie and the Banshees, which is worth a listen. Though in all fairness, we should also link to the original. Well, not recording, but amazing live performance. From the same label as the Ron Gallo cut I posted last night, there was a link on the end of his video, this is just plain goofy exuberant fun. The album is out later this month. The Washington Post profiles an old failed punk rocker turned failed but also kind of exalted country artist Zane Campbell. There’s also a video well worth watching. This is a big ol’ shaggy dog story involving musical history, the Ramones, drugs, drinking, notebooks and a voice that the writer gushes about. It’s also tough to judge from the video if the artist the writer describes deserves the attention. But he rewards, even if he isn’t actually worthy. To judge that I went to hear his music, something the video avoids. I’ve now sampled a lot of his country stuff. I didn’t find album cuts, there aren’t any on Google Music, but there’s lots of poorly recorded live videos. I don’t know, I think I get why the video stays away from his song. The 2015 album the article admires is available on Spotify, if you want to give some better produced tracks a try. It’s a better presentation, but the awkward breathing mars the singing, and weird pauses disrupt the flow of the songs. Campbell’s history is a checkered one, he freely admits, and it is reflected in the polish of these songs. It isn’t like they need to be slicker, but they should be more integral, more bewitching, instead of sounding like a man fighting to keep up. I liked the Post story better before I heard them. By the way, this is a funny “greatest guitar solo”, which starts closer to four minutes in than the 3:40 as advertised. But also fun, and swinging. Fun novelty tune from Ellis, who also did the bewitching and irksome Name Game, but a mesmerizing dance video as well, like a kaleidoscope with swing. Thank you, Walker, for the hat tip. Wayne Cochrane wrote and performed the song Last Kiss in 1961. It wasn’t a great hit. But it had legs. Here’s the original recording. Cochrane is a character in John Capouya’s new book about Florida Soul, which is how I came upon the song. The funny thing for me is that the original version of the song is catchy, but doesn’t get at the real moral position the young man is in as the Pearl Jam version, even though Cochrane was a preacher (a Florida preacher, but still). What Pearl Jam version?